The benefits of using rapid qualitative methods to verify compliance of food and feed with legislation requirements include user-friendly format, the possibility of detection without expensive instrumentation, rapid response and affordable price. Prior to their use, however, the methods have to pass validation experiments, in order to assess their performance profile. An experimental protocol for in-house validation of a screening immunoassay has been designed and applied to evaluate performance characteristics of a multiplex dipstick kit for the determination of major Fusarium toxins, namely zearalenone, T-2 and HT-2 toxins, deoxynivalenol and fumonisins in wheat and maize. The test is intended for screening of cereals on the presence/absence of these mycotoxins at maximum permitted levels established by European legislation or target levels. The response of the measurement is determined with a reader device. Samples classified as negative are considered as compliant, whereas positive samples need to be re-analysed with confirmatory methods. The in-house validation design consisted of three steps, namely (1) estimating the precision of the method including "between day" effects and influences from different varieties of the matrices, (2) establishing robust cutoff values for the dipstick response at target mycotoxin levels assuming an acceptable rate of false negative results of 5 % and (3) assessment of the rate of false positive results of blank samples and samples containing the target analytes below the legal limits. The total precision expressed as relative standard deviation and determined individually for each analyte/concentration/matrix combination varied from 9 to 30 % and was considered as acceptable. In 17 out of 28 cases, the repeatability standard deviation was the most important factor. The predominance of the repeatability compared to the other factors (matrix, days) was an indicator for the ruggedness of the assay. The validation study demonstrated that the test was able to differentiate blank samples from samples contaminated at target mycotoxin levels with a false positive rate lower than 6 %. Considering realistic mycotoxin occurrence in European samples, significant economical benefits can be expected when using the test under real-world conditions. 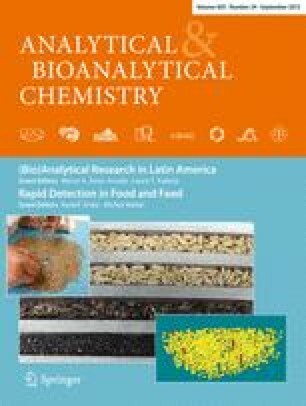 Published in the topical collection Rapid Detection in Food and Feed with guest editors Rudolf Krska and Michel Nielen. The research conducted within the Conffidence project and leading to these results has received funding from the European Commission’s Seventh Framework Programme (call identifier FP7-KBBE-2007-1) under grant agreement no. 211326. The occurrence data on mycotoxins in feed and food for the period 2000 to 2011, available in the database of the European Food Safety Authority (EFSA), were kindly made available by DG Health and Consumers of the European Commission to Conffidence for the purpose of the research project only. We are also very grateful to Unisensor (Liege, Belgium) for providing us with the 4-Mycosensor kit.